A number of interesting application examples, presented in the "Thermal Analysis of Pharmaceuticals" webinar, demonstrate the use of thermal analysis techniques in the pharmaceutical industry. These have to do with the measurement and testing of physical properties. Typical examples include the investigation of polymorphic transitions, decomposition behavior, loss of weight on drying, and many other applications. Thermal analysis is mainly used to investigate polymorphism and the melting behavior of crystalline materials, or to measure the glass transition of amorphous fractions. 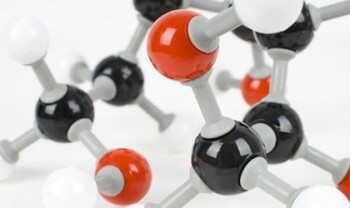 The determination of the purity of active pharmaceutical ingredients is often used in quality control. Thermal analysis also provides information on the compatibility of excipients, shelf life, and thermal degradation. The moisture content and influence of relative humidity can also be studied. The testing of primary and secondary packaging materials, coatings, and blister packages is another important field. TOA or thermo-optical analysis is used to study the melting point, melting range and polymorphism using visual observation and video recording. MP indicates the automatic detection of the melting point or melting range. 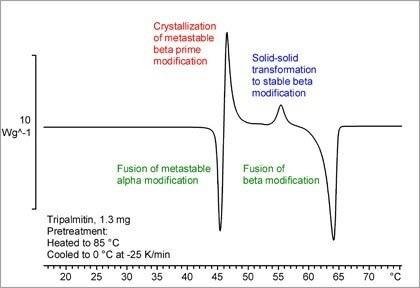 DMA is the most sensitive method for characterizing the glass transition of materials.